Metabolites of the kynurenine pathway of tryptophan degradation, including kynurenic acid (KYNA) and quinolinic acid, are increasingly understood to play major roles in CNS development (reviewed in Notarangelo and Pocivavsek, 2017), function as neuromodulators in adulthood (reviewed in Pocivavsek et al. 2016), and participate causally in pathological states (reviewed in Campbell et al. 2015). KYNA acts as an endogenous antagonist at N-methyl-d-aspartate (NMDA) and the α7nACh receptors, both richly endowed in the hippocampus and implicated in mediating cognitive function. KYNA has also been extensively implicated in the pathology of psychiatric disorders, including schizophrenia, where studies using cerebrospinal fluid (CSF) or post-mortem brain tissue of patients with schizophrenia suggest that an excess of KYNA might play a causative role in the disease. This suggested causality is directly supported by studies in rodents, including our own work, which show cognitive dysfunctions reminiscent of schizophrenia when brain KYNA levels are elevated acutely. Targeted inhibition of KYNA formation is being investigated as a therapeutic approach to overcoming cognitive impairments. Only about 5% of dietary tryptophan, which is elevated in serum and brain after prolonged wakefulness and implicated in modulating sleep, is degraded to serotonin and melatonin. The vast majority of tryptophan is metabolized in the kynurenine pathway, which is also responsible for the neosynthesis of KYNA. However, the direct relationship between sleep and kynurenine pathway metabolism remains elusive. Our current data demonstrate that KYNA levels are elevated in the hippocampus after sleep deprivation in rats. Additionally, at concentrations that adversely impact learning and memory, peripheral administration of kynurenine, the direct bioprecursor of KYNA, adversely impacts sleep architecture, determined by data from polysomnographic recordings that combine electroencephalography (EEG) and electromyography (EMG) with implantable telemetry devices (Pocivavsek et al., 2017). We are investigating whether sleep disruption and resulting elevations in brain KYNA instigate instability in sleep-wake homeostasis and downstream cognitive dysfunction. In an effort to study the effects of elevated KYNA in relation to the pathophysiology of schizophrenia in greater depth, we are examining the neurobiological effects of chronically increased brain KYNA levels. 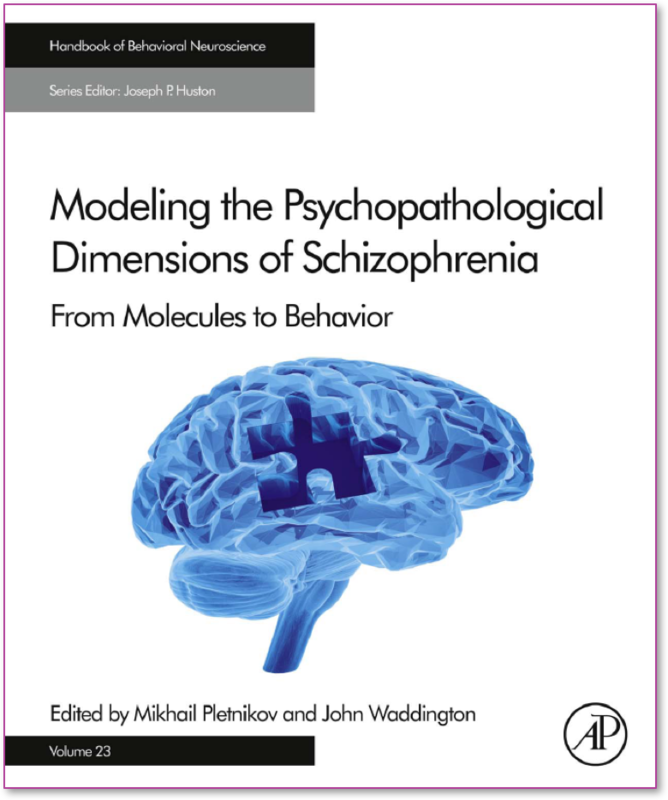 To this end, we have developed a model using rats in which brain KYNA levels are increased prenatally, in line with the neurodevelopmental hypothesis of schizophrenia (Notarangelo and Pocivavsek, 2017). Most recently, we are investigating acute treatment with a brain-penetrable KYNA synthesis inhibitor to attenuate biochemical abnormalities and memory deficits displayed in the prenatally manipulated offspring. We are excited about the potential therapeutic value of KYNA synthesis inhibitors, which may provide a fundamentally new treatment approach for patients with schizophrenia.